ATV Drift & Tricks (Microïds, Today, $34.99) Tired of 2-wheeled vehicles? ATV Drift & Tricks is the ATV game for you! Come back down to the ground and rack up the drifts. Your tires will pay the price, and so will your opponents! 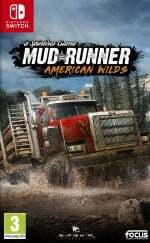 Spintires: MudRunner – American Wilds Edition (Focus Home Interactive, Tue 27th November, $39.99) Spintires: MudRunner – American Wilds is the ultimate version of the indie hit Spintires: MudRunner, putting players in the driver’s seat and daring them to take charge of incredible all-terrain vehicles, venturing across realistic, physics-simulated landscapes with only a map and compass as guides! 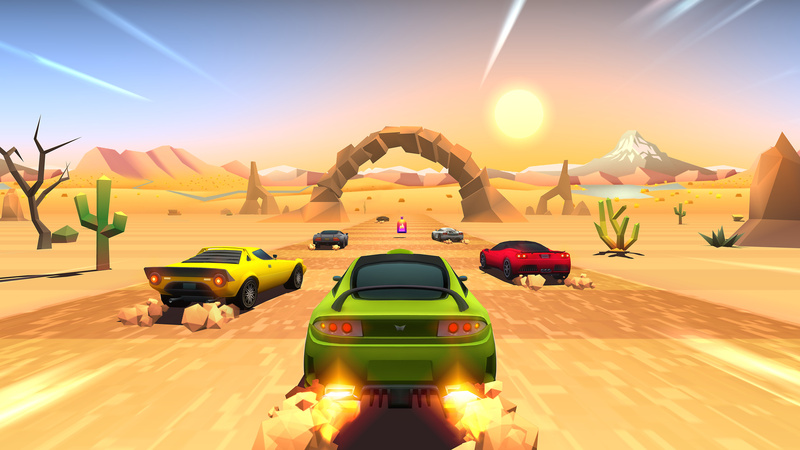 Horizon Chase Turbo (Aquiris, Wed 28th November, $19.99) Horizon Chase Turbo is a racing game inspired by the great hits of the '80s and '90s: Out Run, Top Gear, Rush and others. Race your way through the opponents and master the circuits as you relive the classic arcade gameplay with unbound speed limits of fun. 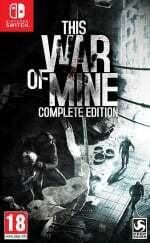 This War of Mine Complete Edition (Deep Silver, Tue 27th November, $39.99) In This War Of Mine you do not play as an elite soldier, rather a group of civilians trying to survive in a besieged city; struggling with lack of food, medicine and constant danger from snipers and hostile scavengers. The game provides an experience of war seen from an entirely new angle. 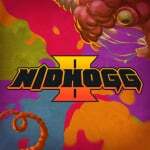 Nidhogg 2 (Messhof, Today, $14.99) Return of the Wurm! The next instalment of the epic award-winning duelling tug-of-war is here! Stab, shoot, slice, or stomp your opponent to gain control of the screen, then book it to your side of the arena. Before long, a new opponent will appear in your way. 99Vidas (QUByte Interactive, Tue 27th November, $9.99) '99Vidas' is a brawler set in a contemporary world, that pays tribute to both the classic and the new in the gaming industry. Brought to you in 16-bit pixelated glory, chock-full of references to not only gaming but also '80s and '90s pop culture. 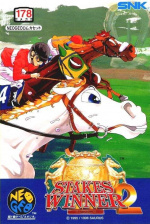 ACA NEOGEO STAKES WINNER 2 (HAMSTER, Thu 15th November, $7.99) “STAKES WINNER 2” is a horse racing action game released by SNK in 1996. Choose your favorite of 12 horses and grasp victory in heated races! Control your horse like never before! Be wary, as jockeys who break the rules may be punished! ! Make use of the controls, items and training systems to completely dominate the GI Races. Adventures of Bertram Fiddle Episode 2: A Bleaker Predicklement (Chorus Worldwide Games, Today, $9.99) Puzzles! Pigeons! And Puns! Take a journey deep into Victorian London with Bertram Fiddle. Explore secret passages, discover hidden objects, meet suspicious characters, solve befuddling puzzles and cringe at puns more terrible than ever as you unravel the mysteries of A Bleaker Predicklement. Arcade Archives Atomic Robo-Kid (HAMSTER, Thu 15th November, $7.99) 'Atomic Robo-Kid' is a shoot'em up game released by UPL in 1988. The player will control an atomic Robo-Kid sized robot and proceed into the underground dungeon to fight with enemies using several types of weapons. So enjoy various stages in the game whether you're exploring the dungeon using free scroll or playing the battle mode fighting with the enemy one on one. Battery Jam (Halseo, Today, $15.00) Battery Jam is a local multiplayer game of competitive territorial mayhem! Use the boombox to smash your opponents, capture their tiles, and dominate the arena! Choose one of four Jammers and compete to have the most tiles at the end of every match! Take on your friends or play alone in Free-for-All or Team mode across eight levels! Bibi & Tina - Adventures with Horses (Markt und Technik, Today, $29.99) Ride as Bibi or Tina over hill and dale through the glorious countryside around Martinshof. Persistent training with your horse will constantly improve your riding skills. Face numerous challenges and demonstrate your strong nerves and sporting prowess in the decisive race in the maize maze! Bibi Blocksberg – Big Broom Race 3 (TREVA Entertainment GmbH, Today, $29.99) Take to the air! A wild witch rally begins: Bibi and her friends leap onto their broomsticks and explore exciting worlds. With mysterious witches' potions and turbulent aerial manoeuvres, they zoom through the age of the dinosaurs, the Orient, and Transylvania. Whizz-whizz, and off they go! Coloring Book (QubicGames, Fri 16th November) Coloring Book has 48 beautiful drawings divided into 8 pages with a unique theme: - Jungle and Space are already available - Cats, Ocean, Farm, Girls Room, Construction Site and Dinosaurs are easily purchasable No limits to your creativity. Destruction (Cosen, Thu 15th November, $9.99) Be part of special forces and fly around the world! International secret organization H has planned terrorist attacks in various places throughout the world in order to destroy world order. Gem Crash (Double Drive, Today, $5.99) The game is played simply by rotating the map's outer ring. Bounce the ball and destroy the gems within the time limit. If you manage to destroy the PRISM GEM, you will go into Fever Time. This will trigger an opportunity to destroy a BONUS GEM to get bonus points! Try to improve your score by upgrading the ball and by using items! kuso (Mokuzai Studio, Tue 20th November, $4.99) kuso is a challenging yet fair platformer with a simple aesthetic. You have the ability to run, jump, and leave your own checkpoint. Make your way through acid, long jumps, disappearing platforms, bouncers, giant saws, and much more in this dreadful mechanical world. 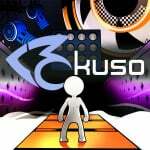 If you're looking for a game that'll challenge your platforming skills, something excellent to listen to, and a game to master, kuso is the game for you. Ms. Splosion Man (Twisted Pixel, Today, $14.99) Bigger. Badder. Prettier. . . When Splosion Man is captured by the evil corporation known as Big Science, it's up to Ms. Splosion Man to save the day. In this sequel to "Splosion Man", Twisted Pixel Games raises the bar with "Ms. Splosion Man" and brings you into the action with 50 single player levels and 50 completely unique multiplayer levels playable locally or online. Read our Ms. Splosion Man review. Panda Hero (TREVA Entertainment GmbH, Today, $29.99) Release the panda in you! Take on the role of the mighty panda and tread your path unerringly. Skilfully dodge your attackers and sweep aside any creatures standing in your way – attack! Discover the exciting world of our intrepid panda hero in this thrilling platform game. Funny, thrilling and action-packed! 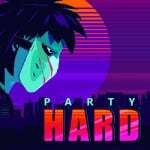 Party Hard (tinyBuild Games, Today, $14.99) In Party Hard, you play as someone who is really tired of the neighbors having loud parties. Instead of calling the police, you decide it’s a better idea to kill everyone – using your faithful knife and the environment. The tactical strategy follows a series of killings at parties through-ought the USA. Please, Don't Touch Anything (ForwardXP, Today, $9.99) Please, Don’t Touch Anything is a cryptic, brain-racking button-pushing puzzle game. Covering for a colleague taking a bathroom break, you find yourself in front of a mysterious console with a green screen monitor showing a pixelated live image of an unknown city. Also present is an ominous red button with the simple instruction to not touch anything! R-Type Dimensions EX (Tozai Games, Wed 28th November, $14.99) The coin-op classics, R-Type & R-Type II, are together on Nintendo Switch! Fight through all 14 Bydo-infested stages in retro 2D graphics or shiny 3D graphics - and swap back and forth with the touch of a button 'on-the-fly'. 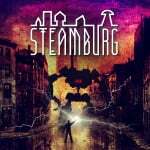 Steamburg (Monster Couch, Today, $4.99) Steamburg is an award-winning puzzle adventure game with story exploration elements and unique gameplay. The game is made by Telehorse, a steampunk games company. It was awarded the Best Upcoming Game at IMGA in San Francisco in March 2017. The main character, professor Vincent Cornelius Moore, fights robots that invaded the city of Steamburg. Stump (SimFabric, Fri 23rd November, $2.29) The Brave Stump sets out to chase lumberjacks through which he is no longer a beautiful tree. Guide Stump through five lands, collect lost leaves and help him regain his former shape. The second game mode allows you to breed wonderful trees, starting with seeds and pots with soil. 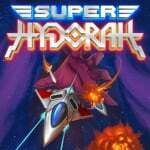 Super Hydorah (Abylight, Thu 15th November, $19.99) An evil force has launched an invasion over the Omios star! Fly with the space fleet in a campaign to liberate planets, destroy enemy bases and discover the mysterious force behind the attack. Swamp Defense 2 (EntwicklerX, Thu 15th November, $2.99) Swamp Defense 2 is a classic tower defense game with unique weapons and monsters as enemies for any beginner or defensive specialists. Fight countless enemies with a huge selection of gun turrets (in the form of comic heroes) and additional helpers (mines, air support, block wall) on more than 60 maps. Teddy the Wanderer: Kayaking (Forever Entertainment, Thu 15th November, $9.99) Join two friends on a beautiful journey among nature! Teddy The Wanderer and his friend Piglet take an advantage of a spring weather and go on a kayaking trip! The entertaining and violence free story will keep children occupied for hours. Roam the colorful, hand-painted locations and meet Mr. Catfish, who needs a lesson in kindness! An unforgettable adventure, perfect for young minds, mixes fun and a healthy dose of learning. Our lovable characters solve numerous puzzles testing younglings' mathematical skills, eye-hand coordination, logical thinking and perceptiveness. 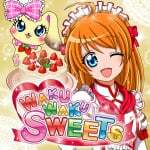 Waku Waku Sweets (Sonic Powered Co. Ltd., Today, $39.99) Acquire on-the-job experience by making all kinds of confectioneries. As if you were baking in real life! Tilt to pour mixtures, rotate to mix, follow the steps and move the controller as shown on the screen. That's how you cook! Word Sudoku by POWGI (Lightwood Games, Today, $7.99) It's Sudoku with words! Place letters in the grid according to normal Sudoku rules and one row or column will spell the word. Of course, you can switch back to number mode if you prefer. Word Sudoku by POWGI includes 240 unique and beautifully symmetrical Word Sudoku puzzles, graded for difficulty from beginner to expert. Zeus Quest Remastered (Crazysoft, Today, $8.99) 'Zeus Quest Remastered' is a silly point and click adventure game with light-hearted humour. It combines Greek Mythology with Sci-Fi in a twisted way! You control Zeus (Boss of Olympus) which is a wacky character. He tries to fix a time machine to save the planet from explosion. Everything happens in Greek mythology timeframe. Crush Insects (RandomSpin, Today, $0.99) Crush all the ants with your finger or stylus. Do not let them get to your fruits. Reach to the centipede and destroy it. Japanese Rail Sim 3D 5 types of trains (Sonic Powered Co. Ltd., Today, $19.99) Drive the Ohmi Railway, The oldest existing private railway in Shiga prefecture! Now with five different passenger trains to drive! This game introduces the oldest existing private railway of Japan. The Ohmi Railway is, just as its headquarters, located in Shiga prefecture. Nintendo is making it easy to save this season with big savings – up to 50 per cent off on select digital games for your Nintendo Switch or Nintendo 3DS system! 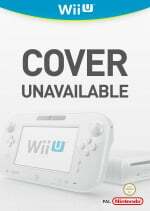 Fans can purchase on Nintendo.com or directly from Nintendo eShop to purchase and download games to play over winter break or right away. My Nintendo members also earn Gold Points on qualifying digital purchases, so it’s a win-win. This sale runs through 8:59 a.m. PT on Nov. 28. I just bought Valiant Hearts on the Switch at half the price and the game was released 3 weeks ago. Not sure if thats ok. In case the European list arrives to NL late, which are today's discounts? Yay, 99Vidas on Nintendo Switch ! And i will wait also the Physical release of 99Vidas for Switch from Strictly Rare Games or Limited Run Games. Wow. Almost 30 Switch titles and 90% are junks. Switch is being overwhelmed by shovelware. Nothing for me from this list this week (maybe Horizon Chase Turbo when it gets a discount), but I'll be taking advantage a few of the Black Friday sales. Doesn’t NeoGeo’s King of the Monsters 2 come out today as well on the Switch? @majinx07 Yes, it's already available in the Japanese eShop, so it should be available in NA in a couple of hours. Stay away from ATV Drift if you want multiplayer as it lacks the 10 player online play as it’s counterparts and doesn’t have offline split screen. Nothing new for me this week, but YES, Starlink Deluxe Digital and Skyrim are FINALLY on sale! I might still go with a physical copy of Skyrim, but that price tag for the digital version is tempting, and I have plenty of room for it! I’m still in Kanto so nothing for me but I may pick up a card before the sale is over. Also is kuso supposed to be called that?! I keep doing a doubletake when I see it. "Crush Insects" I'm pretty sure Hideki Kamiya would love that one. @techdude And that is okay, move along and just nevermind about the "junk" games on the switch....they won't hurt you. EU seems to have same or similar deals as US. Mario Rabbids Gold for £29.99. Xenoblade Chronicles 2 and Skyrim for £33.29. Mario Odyssey for £33.29! Nidhogg will first and foremost always be the S-rank bow in Fire Emblem 8 to me. @techdude Quantity over quality so they can advertise how many titles have been released on the Switch. 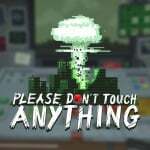 I enjoyed and recommend "Please, Don't Touch Anything", but IMO there's no reason or benefit to get it on Switch instead of mobile. 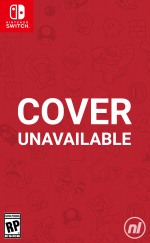 @Crono1973 "Quantity over quality so they can advertise how many titles have been released on the Switch." Yeah how terrible. Why didn't they just go the Wii U route, because that worked out so well. 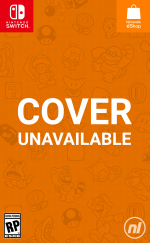 The Wii U e-shop had a massive near endless library. 98% consisted of titles by RCMADIAX aka "The Great Plague". OMG another Japanese Rail Sim game has come out. Man, I wish they also released another Airport Hero game too. That's what I want. I just bought 209 dollars worth of figures today for my Christmas present, so I'm not about to buy anything else so soon. @Nintendo_Thumb Please explain the 'Wii U Route'? Bought Atomic Robo Kid last week. Great game for on the go! Yikes. The Nintendo eshop looks everyday more like the Google Store -_- but then again this is what the market wants. Quantity over quality. I'm going for DOOM at 50% off. I already had it on PS4 but at half price it's way too tempting. Japanese Rail Sim and Spintires! @JayJ Yes, those Japanese Rail Sims are strangely entertaining. I'll probably get that. I've got Mudrunner Spintires on the PS4... Another game that probably shouldn't be fun but is anyway. I don't expect to double dip, but I am interested in seeing how such a physics heavy game makes the transition to Switch. @TheFox I also got Spintires already, have it on the Xbox One, but this version is a brand new version based in the USA and featuring American vehicles! That is honestly the only reason I am buying it, I loved the original Russian game but this new American version seems like it should be a lot of fun. I always love rail sim games though. I remember how the Densha De Go games were some of my favorite quirky Japanese games that I loved to import, I still love playing the DS version to this day! The Japanese Rail Sim series doesn't have the same charm or polish but it does a good job of delivering that style of game. I picked up 3 of them on the 3DS and I am definitely getting it. 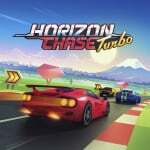 Horizon Chase Turbo and R-Type Dimensions for me. Of course, I'm playing Civilization VI, Pokémon Let's Go, Diablo 3, Monster Hunter Generations Ultimate, Dark Souls, Valiant Hearts and soon Smash Bros. Mainly Pokémon and Civ 6 though. Even Diablo has taken a back seat to these games. So I got 99Vidas and Child of Light. R-Type Dimensions and Super Hydorah, of course. I'm also considering Horizon Chase. No new releases, but I think I'll grab The Messenger on sale. How can I care for new games when Doom is on discount. Why are the only retail releases games for which I don't wear enough camo to qualify? 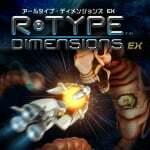 I'd pay genuine dollars for R-Type Dimensions. Horizon Chase Turbo and R-Type: no brainers!! I do wish there'd be a release of something beyond just R-Type 1 and 2. Nothing against those, but what about 3, Delta, or Final? @Crono1973 Everybody knows the Wii U didn't have a huge library of games. They were never getting 30 games a week like this. Maybe if they had a steady stream of games it would have sold better. @Nintendo_Thumb If the Wii U was getting this much shovelware, people would have complained about it too. Also, I don't think that Switch's success revolves around 'lots of shovelware'. I'd be seriously shocked if you've actually played those 29 games. You're just calling anything and everything shovelware, whether it really is or not. I know a lot of Wii U owners would have been overjoyed to be getting so many games on a regular basis. I don't know if these games are all good or all bad, but, there's some good games there, and you'd have to look up reviews or play them yourself to know how they are. I could just as easily say that all Xbox games are shovelware crap, because I don't own one, and can just assume the games aren't any good, but, that's disingenuous based on my lack of knowledge. The default position shouldn't be "it's crap", it should be "i don't know".